Under the banner of the Russian White Nights, the second annual Vancouver Opera Festival celebrates Russia’s luminous midsummer “white nights” with Eugene Onegin - a beloved Russian lyric opera, and the much-anticipated premiere of The Overcoat – a musical tailoring - an opera inspired by a contemporary theatre masterpiece. The Festival will also include Requiem for a Lost Girl - an original chamber musical collaboration that explores themes around homelessness. 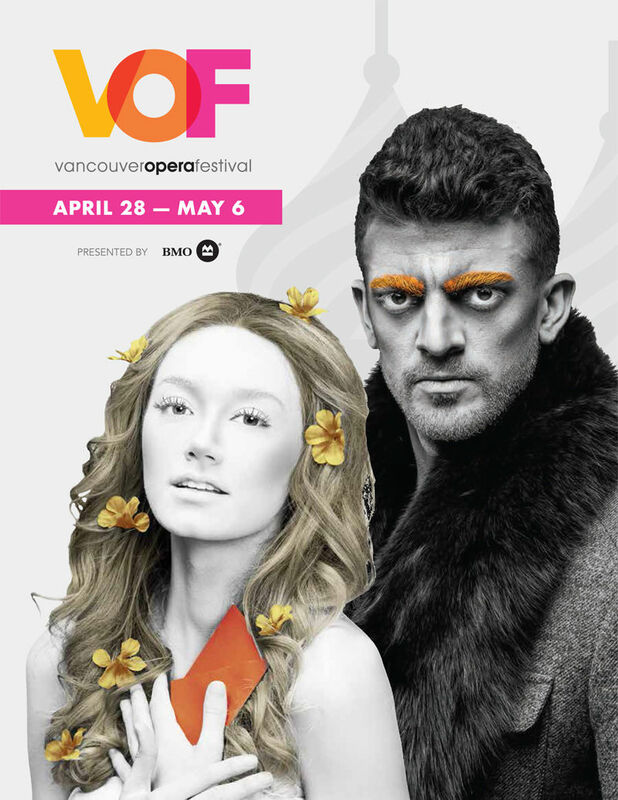 To kick off the Russian White Nights Vancouver Opera Festival, everyone is invited to a day dedicated to Russian Arts, Music, Food, and Culture. Food trucks, circus and street performers, pre and post-show projections will be capped off with a big-screen presentation on the Queen Elizabeth Theatre Plaza. The nine-day Festival also proposes an intimate series of instrumental and vocal chamber music concerts featuring musicians from the Vancouver Opera Orchestra and invited guests. There is programming as well for the entire family including Prokofiev's much-loved Peter and the Wolf. During the weekends, enjoy the ever-popular Opera Bar - a chance to socialize with performers and artists, complete with DJ performances, and much more.